William Seidman, a recognized thought leader and expert on management decision-making in high-performing organizations, is co-founder, chief executive officer and president of Cerebyte. Seidman contributes an in-depth understanding of the processes required to discover and use expert wisdom to create extraordinary organizational performance. As the CEO of Cerebyte, Seidman has led engagements for Hewlett-Packard, Jack in the Box, Intel, Sears and many others. 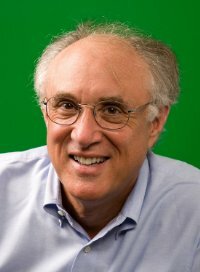 Seidman received a doctorate from Stanford University, where he spent eight years studying management decision-making. As part of his doctoral dissertation, he developed a groundbreaking technique for analyzing management attitudes, cognitive process and behavioral patterns. He can be reached via email at William.Seidman@Cerebyte.com. Morris: Before discussing Strategy in Action in 10 Days, a book you co-authored with Michael McCauley, a few general questions. First, please explain the path that led the two of you to the founding of Cerebyte in 1997. Seidman: We were consultants in project management. One of our clients wanted help with a major project. We discovered that the problem was not really one of project planning but one of knowledge. Specifically, there were 650 people working on this project, with six expert product designers. These six experts were completely overloaded and to some degree the 644 other people were sitting around waiting for the six. The client asked us to find a way to get the knowledge from the “expert six” to the other 644, without having any consultants involved. They specified that it had to be done with software and they were willing to lend us some of their personnel to help define the process and technology. Our consulting company wasn’t interested in the idea, but we were. It ended up taking us 2 years to figure out how to get the expert knowledge from the experts and nearly 5 years to figure out how to get everyone else to consistently embrace the new knowledge. It was a long, slow learning process. Morris: What was the company’s original mission and to what extent (if any) has that mission changed during the past 13 years? Seidman: Originally, we wanted to provide managers with a set of tools that would help them manage their business. Although we have interpreted this differently over the years, we still are pretty close to the original mission. We are focused more on improving performance, which is usually the primary benefit of improved management, but, overall, we are still pretty much doing what we started out to do. Morris: What do you know now that you wish you knew when you founded Cerebyte? Seidman: Our most valuable insight is this: how hard it is to establish an innovative product and process even if everyone says they want it and even if it has incredibly strong proof points to support it. More specifically, we thought there would be an openness to innovation in the area of performance improvement because almost every organization talked about the need to improve performance and there was widespread agreement about the ineffectiveness of the available approaches (e.g. training classes) at improving performance. However, there was actually a tremendous amount of resistance to change, even if everyone thought it was a good thing to do. It was only when the science actually caught up with what we had been doing, and became widely accepted that the resistance to change decreased. Morris: Although there is great diversity among Cerebyte clients, in terms of both size and nature of business, which major challenge do all of them face? How specifically does Cerebyte help them to respond effectively to that challenge? Seidman: They are serious about making the changes in their organization required to significantly improve performance, usually in a particular focus area. In many cases, it is a “change or die” situation for them so motivation and disillusionment with traditional approaches are high. We help organizations improve performance, faster, more completely, more predictably and at less expense than has previously been possible. Morris: Over the years, you have no doubt interviewed hundreds of candidates for positions in your firm. What are you most eager to learn about each candidate and which questions have been most helpful in accomplishing that? Seidman: Actually, we have hardly interviewed anyone. From the very beginning, our goal was to grow revenue and revenue per person, not headcount, so we have worked very hard to automate and outsource everything not specifically in our core strength. There are three of us, and have been for quite a while. We can handle all functions, including effectively supporting a large number of customers, and we can do so with only our network of people and companies. Morris: Do you differentiate leadership from management? Please explain. Seidman: Yes, though primarily in the leadership programs we develop for our customers. To us, leadership is much more about creating a compelling vision and providing the support and resources that enable the team to achieve the vision (in our terminology, it is about guiding “transformation”) while management is much more about the administration of the business (i.e. “transactions”). We find that this difference is most important when there are significant challenges to the organization. Managers retreat from performance improvements to a survival mode – Did I make my numbers today? –whereas leaders look at the challenges as an opportunity to drive the organization forward, even if it means taking some significant risks. In addition, we know that “operational excellence,” which is the focus of management is a subset of leadership so if you have great leadership, you get the best of both worlds. It doesn’t work the other way though. Managers, even good ones, literally think differently than great leaders and need extensive education to become leaders. Morris: At Cerebyte, how are effective leaders and managers developed at all levels and in all areas? Seidman: Again, looking at this from the perspective of programs we offer our clients (since with 3 of us, we are all at times leaders and followers), we created several sets of leadership best practices. We used our Wisdom Discovery process with “positive deviants” (or star employees) from several organizations to define what it means to be a great leader and how to become this type of leader. These best practices are put in our persuasive technology that guides users through a series of learning activities that develop their leadership capabilities. It is just amazing to watch how people grow in these programs. They speak differently, act differently and even stand with more confidence. It is a great feeling to help people move into the leadership realm. Morris: Most change initiatives either fail or fall far short of original expectations. In your opinion, what are the most formidable behaviors to change and how best to overcome them? Seidman: The single biggest barrier to change is revealed when an organization’s leadership is insufficiently committed to the change, to seeing it through to success. Many executives seem to want the benefit of a change without being willing to do the work required or handle the resistance. This shows up generally in an organization’s unwillingness to allocate the time and resources required to learn the new capabilities, and most acutely, at the end of a quarter when there are financial pressures and all change initiatives are dropped to make the numbers. In our terminology, transactional pressures undermine transformational initiatives. In most people’s language, the change is just a “fad of the week.” There just isn’t a twitter version of change or performance improvement, no matter how much people want one. Morris: During exit interviews of highly-valued employees who have accepted a position elsewhere, most of the reasons their reasons for leaving are associated with their supervisor. In your opinion, how best to respond to quite legitimate complaints? Seidman: The best way to fix any turnover problem caused by supervisors is to improve the supervisors’ leadership capabilities. Using our approach, even in very high turnover environments such as fast food, turnover drops drastically and satisfaction with management increases. This happens because we separate the supervisor’s role as content expert from their role as supportive leader. In most cases, supervisors don’t know when they should be telling someone something versus encouraging exploration and growth. As a result, supervisors increasingly become “tellers” of information, which turns out to be very dictatorial and discouraging for employees. By having the expert knowledge supplied from the positive deviants and provided through the persuasive technology, we can reduce the load on the supervisor, enabling them to learn a few, very focused and effective support tools. We also help the supervisor become consistently more transformational by guiding them to be more effective at understanding and managing the conflict between their daily transactional role that tends to drive employees away and the transformational role that tends to grow employee loyalty. Morris: Now please focus on Strategy in Action in 10 Days, co-authored with Mike McCauley. For those who have not as yet read it, you explain why high performance is no longer a competitive advantage, it is a necessity. I agree. Based on your own experience with Cerebyte as well as on what you have observed in other companies, how can it be achieved in only ten days? Seidman: We didn’t think it could happen that fast until a client actually did a significant transformation in only 6 days. We added 4 more days as buffer, because no one would believe us anyway! It only takes 3 days in our Wisdom Discovery workshop working with 6-8 positive deviants to create any best practice, even in areas that are new and uncertain. It takes another 2-3 days to make the content production ready and load it into the persuasive technology. It takes another day to train the “coaches” to support the learning process, and the next day, the best practices can be deployed. Because of the way the combination of positive deviant wisdom, coaching and persuasive technology work, there is typically an attitudinal change in a matter of minutes and substantive change in just a few days. If the change is big and complex, it may take several months for it to be completely implemented, but visible movement happens almost immediately. Morris: Here’s a follow-up question. Once high performance has been achieved, how to sustain it? Seidman: Sustainability is one of the biggest problems with any change initiative. Fortunately, recent advances in the neuroscience of learning tell us how to sustain a change, and we have engineered this into our process and technology. In simple terms, to sustain a change, an individual and an organization must practice the new capabilities long enough and intensely enough for it to be internalized both at the level of neural function for each person and business processes in the organization. There is a little bit of an art form to getting the practice right though. It requires both mental and application exercises that typically take about 15-30 minutes per day to complete; the exercises need to continue for about 10 weeks. There is a barrier at six weeks when the new capabilities have emerged enough to be disruptive but the old ones are still present, creating a conflict. This barrier goes away with more practice. Once people reach the 10-week mark, the change is usually sustainable, though they may have to practice additional skills to reach the complete desired outcome. Morris: The methodology you recommend in the book is based on what you characterize as a “scientific change model,” based on a step-by-step process: Set the Bar, Motivate Change, Sustain Change, and Scale to Everyone. Here’s my question: After completing the fourth and final step, then what? Seidman: Once the change is fully internalized, work on that particular initiative is done. The change is now fully integrated into the DNA of the organization. This is a “teach them how to fish” approach. However, for most organizations there is always a new need for performance improvement so there is another initiative. Also, the positive deviants from the initial Wisdom Discovery usually get so much benefit that they almost immediately begin advancing the current practices, so there is often a new opportunity for improvement that they are creating. Although organizations can become tired by change, and it is possible for a program to saturate all of the organization and be done, there is always a need for improved performance. Everyday a company isn’t improving is a day that someone becomes more competitive. Morris: Please explain what you mean by the term, “the underlying science” of achieving and then sustaining high performance. Seidman: When traditional change approaches are examined closely, particularly in light of current knowledge about how we learn, they tend to look very much like a craft profession in that the success or failure of the change is very dependent on an individual’s skills and capabilities. Some people are absolutely great at leading change but most can’t consistently produce the desired results. In the last few years, the emerging science of positive deviance, fair process, several aspects of neuroscience and mass customization provide excellent guidance as to how change can be effectively led even if the change leaders aren’t superstars. The science tells us that top performers function in particular ways and that others react to their content in particular ways that simply were not known a few years ago. In particular, the understanding of the neural processes of learning as shown in PET scans and MRIs are providing completely new and highly predictable means of enabling individual and organizational growth. Morris: Opinions are sharply divided about performance reviews and, especially, about 360º feedback. Some executives prefer that it be transparent, others that evaluations be anonymous, and still others want nothing to do with 360º feedback. In your opinion, to what extent (if any) can it help to create a high performance organization? Seidman: I am not a fan of performance reviews for improving organizational performance. I see little evidence that they have any impact at all. Instead, we advocate a continuous focus on “doing the right thing” in the broadest possible sense, and, ideally, a means of measuring the extent that people are doing the right thing. The positive deviants can tell us what the “right thing” is and the persuasive technology can track people’s execution. Many of our clients set-up a related certification program based on “demonstration of capability.” If an organization can consistently drive people to do the right thing and document that they are consistently doing it, or where they need to focus to get even better, the organization is getting the optimum performance on an on-going basis and doesn’t need a once a year, artificial discussion. Morris: Please share your own thoughts. For example, can one person motivate another person or must that person be self-motivated? Seidman: The research on mirror neurons changes this age-old question considerably. Let me put this in simple terms. Have you ever had the experience of sitting with someone who is very excited? What happened? Most people get excited too. What about the opposite situation, when you sit down with someone who is depressed? You tend to get depressed too. So what we know is that there are specialized neural capabilities designed to send and receive empathic signals. The very nature of positive deviance is to be excited and energetic. We learned that the underlying reason for this is their profound commitment to creating a great “social good.” They are always trying to make the world a better place. When their view of the social good is articulated in a particular way, and presented to others in a particular way, it seems to act like mirror neurons are being activated and everyone gets motivated. So one person can motivate another person, and that motivation quickly becomes self-motivation. Morris: You and I share a high regard for The Power of Positive Deviance, co-authored by Richard Pascale, Jerry Sternin, and, Monique Sternin. Please explain the relevance of positive deviance to the Strategy to Action methodology. What “wisdom” does it offer? Seidman: Positive deviance is the foundation of the entire process. Positive deviants have the values, attitudes and expertise that are the engine that drives performance improvement. In the late 1990’s we had been focusing on “top performers” which was close to the notion of positive deviance, but their work took the discussion to a whole new level. Being able to talk about the science of positive deviance with private sector executives, while initially somewhat off-putting to many, became incredibly effective and “sticky” because it made a lot of sense to them. They liked the idea of leveraging their own top people. Their follow-on question is, of course, so how do you get anyone to actually pay attention to the positive deviant wisdom? This is where Pascale and the Sternins missed the importance of their role in leveraging the positive deviant wisdom. They were actually the means of transmission and deployment. Without them doing the deployments, positive deviance is just another source of under-utilized information. We had to spend a lot of time and energy focusing how to get large groups of non-positive deviants to embrace the positive deviant wisdom. Morris: I agree with you about the importance of having effective mentors and coaches at all levels and in all areas of an organization. Here are two separate but related questions: Why are many (most?) people reluctant to be mentor or coach, and, why are many (most?) people reluctant to work with one? Seidman: Most people are reluctant to be mentors because they don’t really know how to do it and there is little reward for them for being mentors. As an example, we were working with a construction company and surveyed the managers about their values. They all told us that developing their people (i.e. mentoring) was their most important function. We then asked them: “When was the last time they did any mentoring?” None of them could remember. We also asked: “Do you know how to mentor?” They didn’t know how to mentor. What they and most other “managers” are valued for is their transactional capability, and mentoring is transformational, which just isn’t that important to them or the organization. It is therefore not surprising that people don’t particularly want to work with a “mentor.” Who wants to be mentored by someone who doesn’t want to be a mentor and couldn’t do it well even if they wanted to? What we do, instead, is to try to give the “mentor” significant reasons to be transformational and a very easy structure to make it happen. Managers love the program because they come to see that it actually makes their job easier and the mentees have a great experience. Morris: Here’s a statement in the book that caught my eye: “Simply put, the results obtained by using traditional means of improving organizational performance are unreliable and unpredictable.” Please explain. Seidman: We often ask executives: “Thinking of your last change initiative, how long was it before it was completely and fully implemented?” There answer usually is: “Never finished.” Let’s make simpler. Training, usually in classes, is the primary change methodology used for most change initiatives. Think across all of your classroom experiences. Were the experiences consistently great or not? It could be either because the quality of a training class is completely dependent on the effectiveness of the instructor. Similarly, there has long been a reliance on financial incentives as a means of promoting change. Daniel Pink’s new book DRIVE provides science that shows that financial incentives often decrease performance. Although people were basing change management methodologies such as a heavy reliance on assessments on the best knowledge available at the time, there has never been much substantive support for their effectiveness, and the recent science has shown that many of the approaches used in change management are simply incorrect. Seidman: Absolutely. That is one of the beauties of the positive deviants. They have the vision of the social good, but the operational excellence as well. They can tell us what to achieve, why we should achieve it and how to achieve it. When all of the positive deviant wisdom is embraced by an organization, both motivation and execution soar. Seidman: One of the more intriguing aspects of positive deviance is its foundation in the “social good.” While it is theoretically possible to have a positive deviant social good that is not worth doing, perhaps because it is not aligned with the organizations larger objectives, every positive deviant social good we have seen, and we have seen a lot, has always been something powerful and worth doing. In fact, it is the legitimacy and power of the social good that is the primary reason people will be motivated to embrace the change initiative and do the practice needed to make the change. Seidman: This is the essence of internalization. When people fully internalize positive deviant content, as happens through fair process, neuroscience and persuasive technology, they think of it as their own ideas and they feel a great sense of accomplishment. We often ask people to tell us the story of the change initiative and they usually tell it in the “I” or “We” form. What becomes clear is that their internal story has them at the center, and we all know that we love our own stories the best. Seidman: “How do you do this if you have hundreds or thousands of people spread around the world?” We get asked this question a lot because it is theoretically possible to find and leverage your positive deviance, provide change coaching and generally change an organization if there aren’t many people involved and everyone is close together, though change is a challenge even in these circumstances. But achieving these results on a large scale, particularly if there are different national cultures to span, has been virtually impossible. We have solved this problem by persuasive technology designed around the principles of mass customization. Because it is a technology, we can touch thousands of people at once with very low cost and because it is designed using mass customization, headquarters groups can get all the economies and quality of centrally controlled change while treating each participant uniquely. It is the best of both worlds and enables sweeping changes on a global scale, all in 10 days.